Eric More Cowbell! 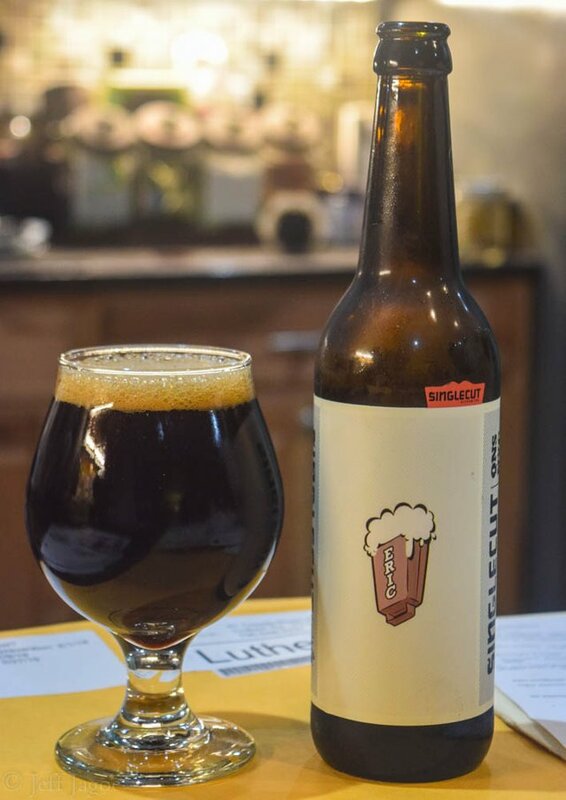 is a 6.6% alcohol/volume Milk Stout made by SingleCut Beersmiths in Queens/New York City. 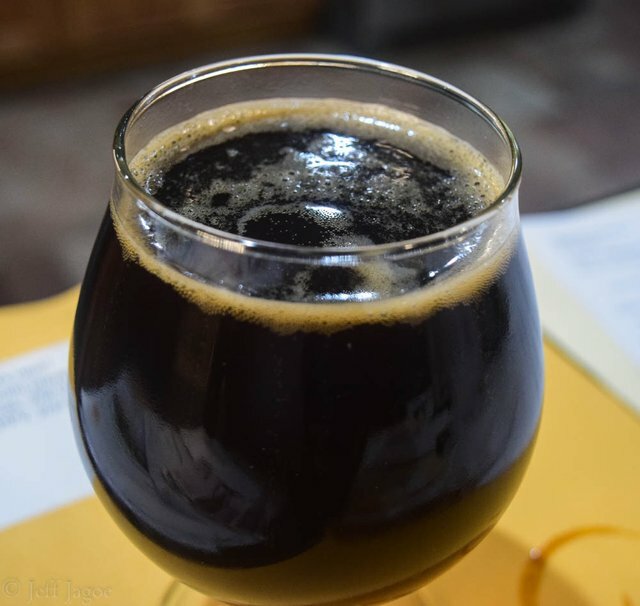 It all began as a home-brewing stint by Rich Buceta, who later fulfilled his dream of becoming a professional brew-master. SingleCut Beersmiths began in 2012 and has been busting out hoppy and delicious brews ever since. Eric More Cowbell! was a smooth, rich Milk Stout with a complex, creamy chocolate taste. Eric More Cowbell! was served in a nice big glass bottle. Like all of the beers I've tried from SingleCut Beersmiths, this had a simple yet attractive label. 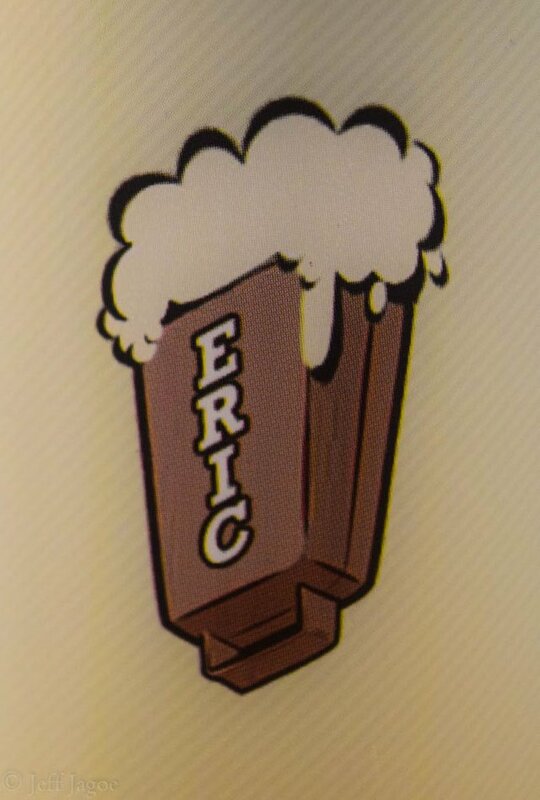 An upside down cowbell overflowing with bubbly beer is featured in the middle of the label with the name Eric written down it. The Eric More Cowbell! was dark and rich. There was not much of a head when I poured it into a glass. It had an aroma of chocolate and roast coffee. The taste was smooth and slightly sweet with a nice chocolate base and a roasty after-flavor. At 6.6% alcohol content this was a solid Milk Stout that went down easy. I look forward to trying more beers from SingleCut Beersmiths in the future. Looks delicious! I love their IPAs. We get them up here in Vermont. Big fan of milk stouts. Thanks for sharing this one!